it is protection for if your device reboots while you’re on the road. NOTE: This wont work with iPhone 4S or iPad 2. Step 1: Download the latest version of Redsn0w for Windows or Mac, and follow our complete step by step guide posted here to tether-jailbreak your device. Alternatively, those of you who rely on an Ultrasn0w or Gevey SIM unlock can use Sn0wbreeze for tether-jailbreaking their device on iOS 5 with preserved baseband, step by step instructions for which can be found here. Step 2: Once you are done with tether-jailbreak, Start Cydia, and add http://thebigboss.org/semitether as repository on Cydia. 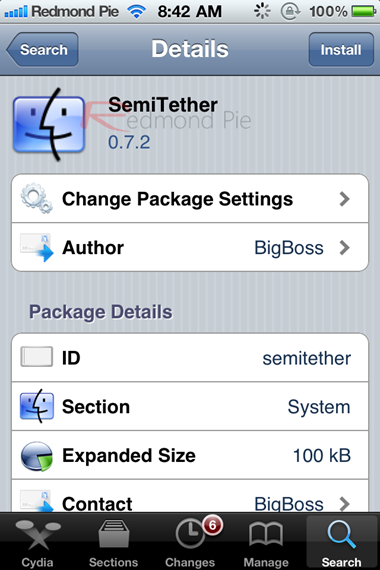 Step 3: Now search for “SemiTether” package on Cydia and install it! You are done! Now you will be able to reboot your tether-jailbroken device on the go even without a PC or a Mac. But as described above, you wont be able to use Mail, Safari and Cydia till you boot the device back into a tethered jailbroken state using Redsn0w. To do this, start Redsn0w, go into “Extras”, select “Just Boot” option and enter DFU mode. Redsn0w should now boot your device as tethered. Sn0wbreeze users can alternatively use iBooty to enter tethered jailbroken state. Once done, you should now be able to use Mail, Safari and Cydia again. To recap, with a semi-tethered jailbreak, you can use your device for text messages, stock apps (except for Safari and Mail), camera, settings, etc. You wont be able to use any web browsing app which uses Safari, stock Mail app, Cydia, and any jailbreak apps that you have installed on your device. Of course all the functionality will be restored once you have booted your device back into tethered jailbreak state. The limited functionality offered by this semi-tethered jailbreak is obviously better than not having it at all. 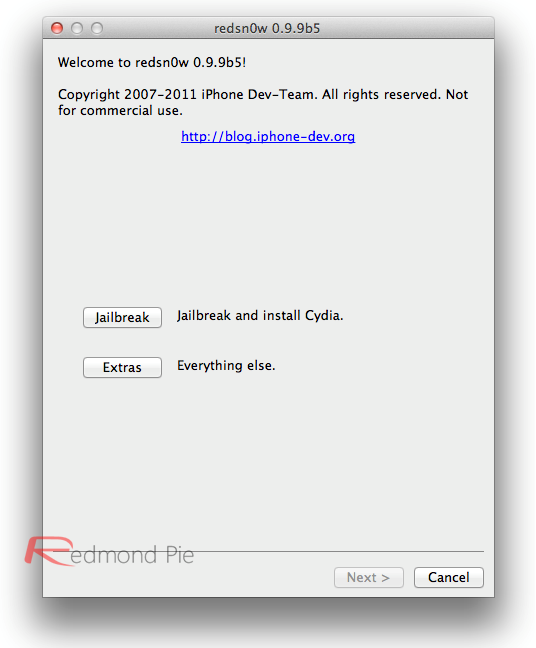 Full untethered jailbreak for iOS 5 isn’t available yet. Chronic Dev-Team is said to be working hard on it. Recently, i0n1c also confirmed that an untethered jailbreak solution for iOS 5, which will also support iPhone 4S and iPad 2, was “covered”. If and when iOS 5 gets a full untethered jailbreak, you can be rest assured that we will have it covered here on Redmond Pie!